This is relatively new concept, Bluetooth beacons can help apps running on mobile devices to determine their precise location. A beacon broadcasts a Bluetooth Low Energy (BLE) signal over a distance of up to 50 metres that can be detected by compatible devices. The signal is short and simple, and typically does not change. As a result, most beacons do not require any connectivity and are often very small and battery powered. The technology they are based upon is inexpensive to mass-produce, with the BLE chip costing less than a dollar. In many cases, beacons can provide a smartphone with location information with greater precision than that offered by alternative technologies, such as GPS, Wi-Fi and cell tower triangulation. Importantly, beacons also work well indoors, enabling them to be used in a wide variety of applications, such as triggering information / offers upon entering a retail store, surfacing tickets at entry to a transit station and initiating a transaction at a retail point of sale. 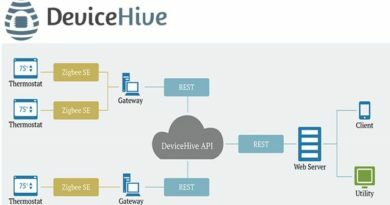 In some use cases, the app may need to use a cellular or WiFi connection to display relevant content, while in other cases the app can simply pull up the content from a local cache. Appendix 1 provides more information on the technology used in BLE beacons. Bluetooth beacons will have a transformative impact on the way we interact with the physical world. They enable proximity-based contextual awareness using technology that most of the world’s population now carry in their pocket – a smartphone with applications. Using wireless technology for proximity detection is not new, but with the introduction of Bluetooth’s low energy features in 2009, beacons are now being deployed on a wide-reaching scale. This article explains how beacons work, some of the ways they can be used, and design considerations for beacon product development. In general terms, a beacon is a small, battery-powered, wireless device that uses Bluetooth low energy technology (Bluetooth Smart) to advertise its presence and services. It does this by repeatedly broadcasting or advertising a beacon identifier to compatible smartphones or tablets within its proximity. The smartphone or tablet can then use the beacon’s information to determine its location and services, and act accordingly. Bluetooth low energy (BLE) beacons have been around for a while and can be seen everywhere. Normally, they run off of a battery or a line-connected power supply like a USB port, but not always. The prospect of a solar-powered BLE beacon device is intriguing. In this article, we explore such a device from Cypress Semiconductor. A BLE beacon is a device that only advertises. That is, the transmission is in only one direction. Unlike other BLE peripherals, they are not connectable by design. Instead, they simply advertise a very brief message. Generally, they are not continually transmitting the message, they transmit the message at intervals. The shorter the interval between transmissions, the greater the power used by the beacon. BLE beacons are always short-range devices and their range is largely a function of the transmission power. Therefore, power requirements and, consequently, battery life, can be estimated by the power of the transmission and the interval between transmissions. Oftentimes, battery life for a beacon is quite lengthy and can be measured in months. A received signal strength indicator (RSSI), from the receiver side, can be an important part of the transmitter-receiver relationship. The RSSI value can be used to provide a measure of the distance between the beacon and the receiver. For example, the beacon can transmit the RSSI at one meter. The receiver can then use its own RSSI in conjunction with this transmitted RSSI to get a rough measure of distance. A typical example of using proximity is when an establishment is able to deliver targeted messages through a smartphone application depending on where you are in the store. In addition to commercial advertising, beacon technology has also been used in healthcare. It seems that, in certain instances, “people tracking” can be implemented with BLE beacons more cheaply than GPS and with less privacy invasion than cameras. Tends to be misplaced easily • Involves manual intervention for movement and maintenance. An emerging mobile technology, Bluetooth Low Energy (BLE) beacons enable smartphones apps to pinpoint their exact location, indoor or outdoor, with a level of accuracy down to a few centimetres. The signal from a beacon can be used to trigger a specific app notification relevant to that location and time. Beacons are inexpensive, small and often battery-powered devices that can be discreetly placed in retail, entertainment, hospitality, transport, healthcare, outdoor media and private locations to enable a wide variety of use cases. Diagram 1 shows some examples of how beacons can be used in a retail context. The smartphone estimates the distance to the beacon by measuring the strength of the signal (RSSI) from the beacon. Using signal strength for estimating distance is the inherent disadvantage of the technology for getting precise distance measurements. The signal strength drops quickly for the first 1-2 meters away, making it relatively accurate at those distances, but the further away you go from the beacon, the less accurate the distance measurement gets. Environmental factors such as reflections and physical blocking also affect the strength of the signal, and hence the distance calculation. For generalization purposes, beacon proximity detection is split into three distance categories; immediate, near and far. Immediate means proximity within 0.6 meter away, near being within about 1-8 meters, while far is beyond 10 meters and up to 40 meters if nothing blocks the signal. We collected RSSI signal strength data and plotted a graph with test results with measurements taken at various distances from the beacon; starting 20 cm away, moving to 50 cm, then 1 meter, 2 meters and so on. We did this using various devices as the reception does differ between devices. We get asked this an awful lot. A beacon is not capable of seeing any other devices around itself. Back to the analogy of the lighthouse. One simple purpose in life. I’m a beacon. I send out my signal. That’s all I do. If there are devices there to see it, that’s great. If there aren’t, nothing happens. They can’t see devices, therefore they don’t connect to them. They don’t steal any data off the device. You actually need to have explicit opt in from your customers. They need to download your mobile app. They need to give access to location. And then by doing that, you can take one of the beacon IDs for a beacon you have in a physical location and ask the app and operating system to monitor for that specific beacon ID. When the mobile device sees it in the wild, it will let the app know that it is seeing a beacon. Then the app can go back to your server and say, “Hey, as customer ABC, I’ve seen XYZ beacon,” and then you know to take action. Opt in is required. The download is required. Privacy is very important with beacons. It is very well locked down. It shouldn’t be a customer concern. Radio Beacons typically use Bluetooth operating in the unlicensed 2.4GHz ISM (industrial, scientific and medical) band. This means beacons are using the same spectrum as Wi-Fi, automatic garage doors, cordless phones and microwaves. However, Bluetooth Low Energy has been allocated dedicated channels that help beacons avoid interference with nearby Wi-Fi routers. Broadcast signals Beacons use the GATT profile to broadcast their information (known as an advertisement). The broadcast itself contains purely static information, and does not itself contain any kind of message, offer or information for the user. The broadcast contains four simple pieces of information: Beacon Identifier: tells your operating system/app that this is a beacon Universally Unique Identifier (UUID): used to identify the owner/deployer of a group of beacons (for example, the brand of a chain of stores) Major: a number often used to identify a location (for example a specific store) Minor: a number often used to identify a micro-location (for example a door, floor/level, department, aisle or product) Power and calibration data: information to tell the app the power output and the expected power at a predefined range . ← How IoT Will Drive Mobile Application Development?